Lily is an actress. At least, that's what she tells people, even though she's currently working in a call centre and her last big part was an ad for Sofa Warehouse. So when she's invited to her cousin Alice's wedding in LA, it's a dream come true. Alice's fiancé Sam is actually a Hollywood agent; how can Lily fail to get talent-spotted? I kindly received Lily Does L.A. in exchange of an honest review by the publisher via NetGalley. Girls on Tour is a series of five interlinked e-novellas about four friends who find fun, romance and adventure abroad. It features glamorous locations and hot men, The e-novellas are coming out between July 2014 and April 2015. Lastly, Girls on Tour brings all five novellas together in one volume with extra material, published in ebook and paperback in April 2015. 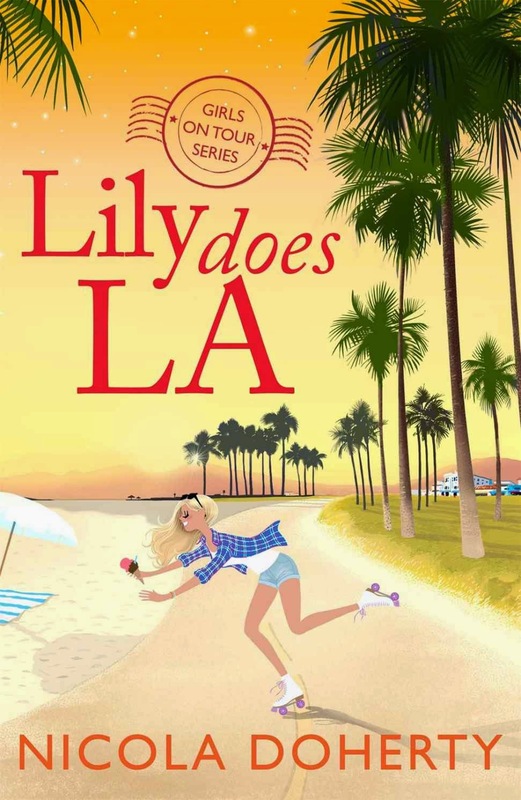 Lily Does L.A. is the second instalment in this hilarious, romantic and unputdownable five-part series. Perfect for fans of Lindsey Kelk's I Heart... novels. Eventhough it is part of a series, you can read it as an stand alone novella too. Overall, I very enjoyed this part of the series. I loved the excitement, the pace of the novella, the humor and Lily's laugh out loud moments. There is a ton of good humor in this book, a very light read, good chick lit which makes it very easy to get into Lily's life and it works so well. The characters were fantastic, the plot kept me highly entertained the entire way through. I loved seeing how everything of Lily’s plans finally coming together towards the end of the book. Thankfully the series continues in December with Maggie Does Meribel, because I don't think I am quite ready to let the series go just yet... I can't wait to get my hands on it and find out which kind of an adventure Nicola has written for us next.